Our flat in Campo di Giove is available for letting. Campo di Giove is a mountain village (1064m) in Abruzzo, a region of central Italy. Campo di Giove is situated in an area protected by the Maiella National Park. 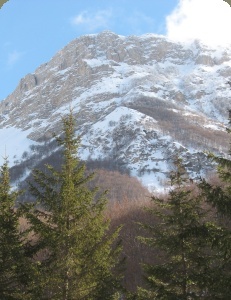 The Majella is one of the highest and most spectacular peaks of the Appennini mountains, a mountain range that runs along Italy. Campo di Giove. Natura Divina.